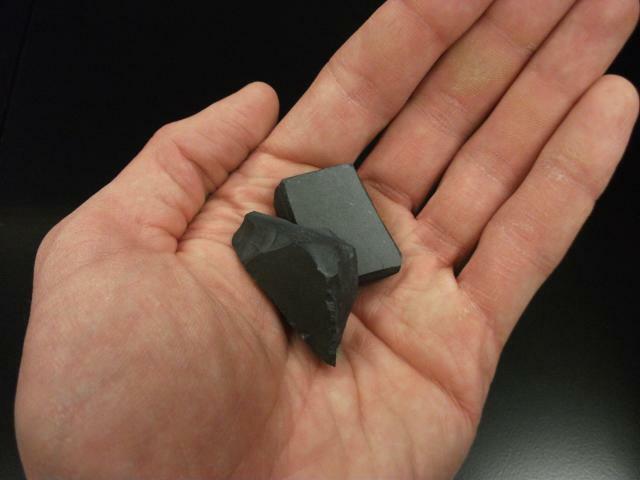 ITO is one of the materials that makes the magic of flat panel displays (monitors, TVs, etc.) possible. When sputtered on in a thin layer, it acts as a transparent conductive film. However, the process of sputtering is very inefficient in its use of ITO. And, with the explosion of flat panel display sales, large amounts of ITO end up as "waste". It is important to understand the economics of ITO. The main precursor of ITO is indium (metal). Indium is a semiprecious metal and trades on the open market like gold and silver. It is subject to price fluctuations just like the other precious metals. So, there is an economic impetus to reclaim as much of the unused ITO as possible. As mentioned earlier, flat panel displays employ a sputtered ITO coating. 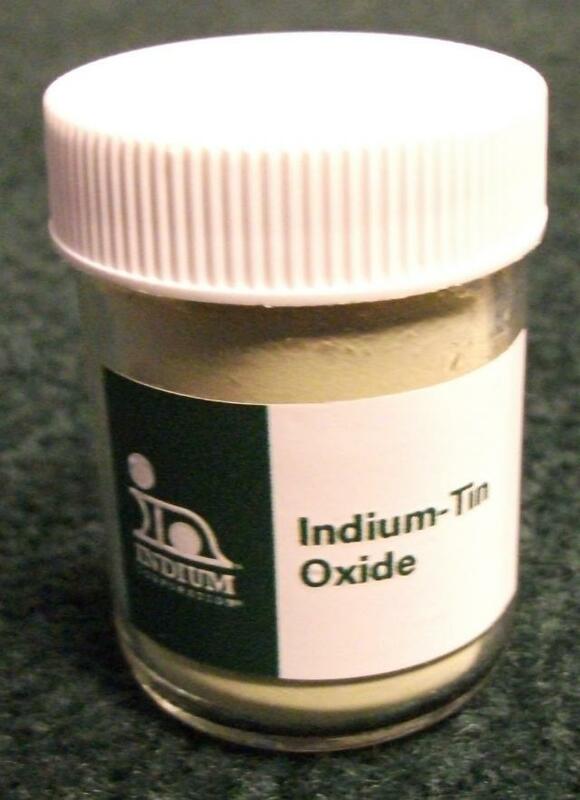 The indium metal must first be converted to indium oxide and then blended with the appropriate amount of tin oxide. The result is a pale green powder. In order for the ITO to be usable, it must first be compressed in to a sputtering target. 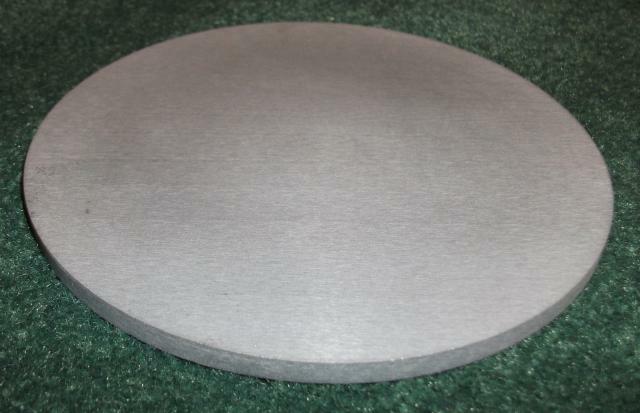 Planar sputtering targets are the dominant form of sputtering target used for sputtering of ITO. The geometry of the ITO sputtering target is often a rectangle or disc. Compressing the powder causes it to take on a darker color. 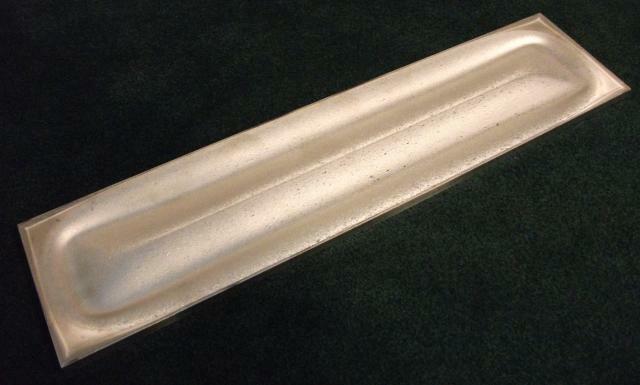 Inherent to the sputtering process is the uneven erosion of the sputtering target. The target material erodes in a "race track" pattern. These images of a spent nickel-vanadium sputtering target show the classic "race track" erosion pattern (valley). 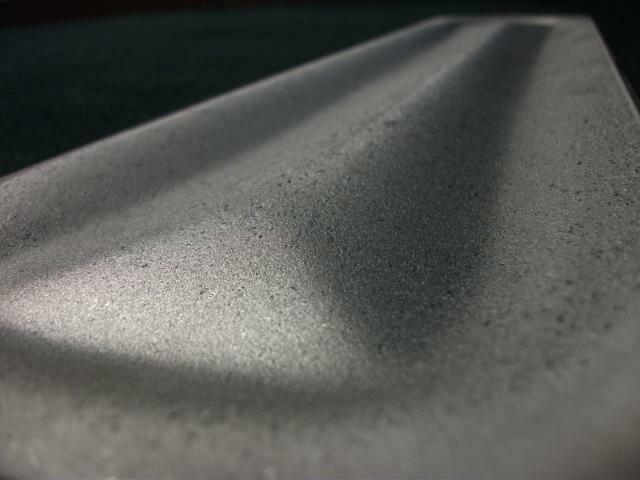 The remaining material is unusable in the sputtering process. In the case of an ITO sputtering target, the unused portion can represent a significant amount of indium. It makes sense to reclaim or recycle as much of the target as possible. The target user will break up the remaining target in to chunks. The chunk ITO is sent to a recycling/reclaim center where the chunk ITO is converted back in to indium metal. And the cycle starts all over again.